New Hotel Fund Now Open with 10% guaranteed preferred return! For a limited time and for accredited investors there is a 10% preferred return on capital on a new Hotel Fund. SOLD* $3,200,000 Rodeway in Orlando Florida ! Close to Disney and theme parks. Email me at motelguru@gmail.com for more information or to set up a tour. Now accepting Hotel properties for our Spring and Summer Auctions call or email me. Kissimmee Florida close to Disney within 10 miles. Great Reviews and Repeat guests. Infant of the new Orlando Eye on International Drive! 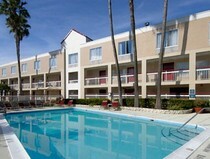 Income producing Ramada well located Hotel in Orlando Florida. 120 Suites Hotel Directly by the Orlando Convention Center.